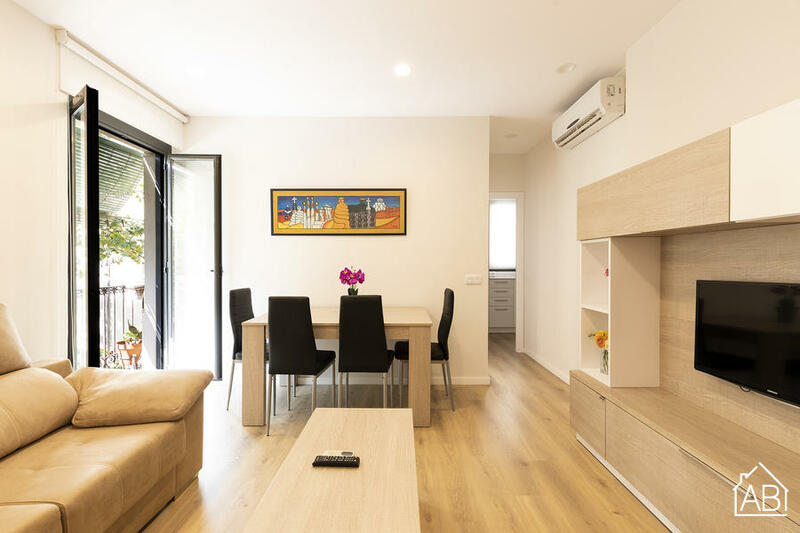 You´ll find this elegant and chic apartment in the lovely neighbourhood of Barceloneta, very close by to numerous beautiful beaches and exquisite seafood restaurants. It is just a short 15 minute walk from some of the best sights in Barcelona, such as el Gótico. You can also reach other areas of the city and the suburbs via public transport from this extremely well-communicated and centric location. This apartment is perfect for a small family or romantic getaway to Barcelona. It has 2 bedrooms and 1 bathroom in total. You´ll find 1 bedroom with a double bed and the other bedroom with a single bed, allowing up to 3 guests to stay here comfortably. This wonderful apartment also comes with a fully-equipped kitchen, modern living area and balcony, so that you can make the most of your stay. There are plenty of amenities, too, such as a washing machine and WiFi. This apartment really makes for the ideal home-away-from-home for the modern traveller.